Winter Orientation 2019 - Lambda Phi Epsilon International Fraternity, Inc.
Las Vegas, Nevada — Lambda Phi Epsilon Chapter Presidents and New Member Educators convened over Martin Luther King weekend to enjoy fellowship and learn the skills necessary to lead their undergraduate chapters. International President William Tan kicked off the two-day training with a State of the Fraternity address, sharing highlights from the past year and setting goals for the next decade. The hiring of the Fraternity’s second paid staff member, one of the major accomplishments of 2018, has resulted in an increased capacity for membership reporting, dues collection, and expansion to new campuses. Throughout the weekend, the Chapter Presidents and New Member Educators split up into different breakout sessions to facilitate critical discussion on the future of the Fraternity and build the foundational knowledge to be effective leaders in their respective roles. 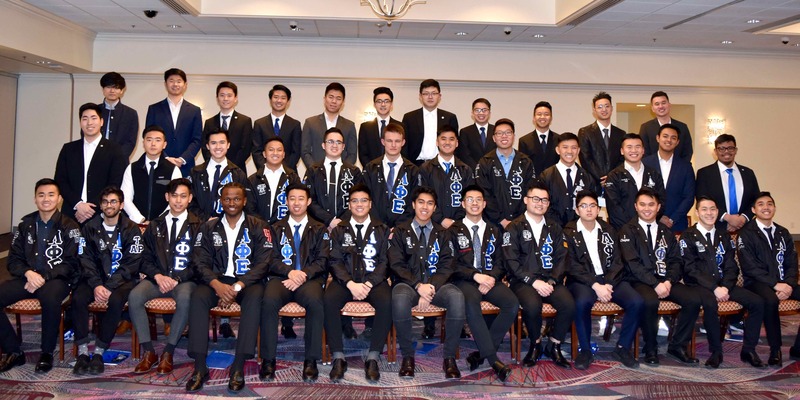 Chapter Presidents built stronger relationships among peer leaders through region-specific gatherings and one-on-one sessions with officers of the International Board. In addition to engaging in workshops within chapter operations, they also provided input on shaping fraternal bylaws in the House of Delegates meeting.